The majority of us really look forward to sitting down with family every year to reconnect and to be thankful for what we have. We always try to find a bottle (in my case, several bottles) of wine that we all could enjoy effortlessly while we fill our faces with turkey and fixings for days. Those who work in this industry are familiar with the go-to wines to pair with herb roasted birds, smoked hams, spicy stuffing and sweeter cranberry sauces, etc. and it is tiring to read about the same recommendations every year for holiday meals. This season we wanted to recommend something a little different to everyone that we feel would be a little more interesting to pair with all of these flavors and allow for the ultimate in gulpability and relaxation. Some high quality, liquid aid can come in really handy while we navigate through the personal, religious and political discussions with our loved ones! Our choice to unarm everyone this year is Cinsault. Cinsault is an excellent choice to conquer the dinner table this year with its blue fruit forward intensity, nimble texture and sensational crunch. Drinkers of Pinot Noir, Gamay or Grenache will find this wine pleasurable. 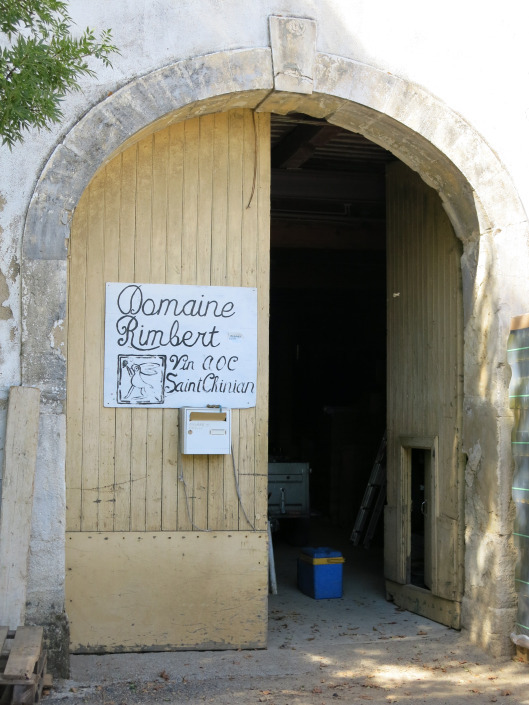 We recommend a small producer in St. Chinian named Jean-Marie Rimbert. 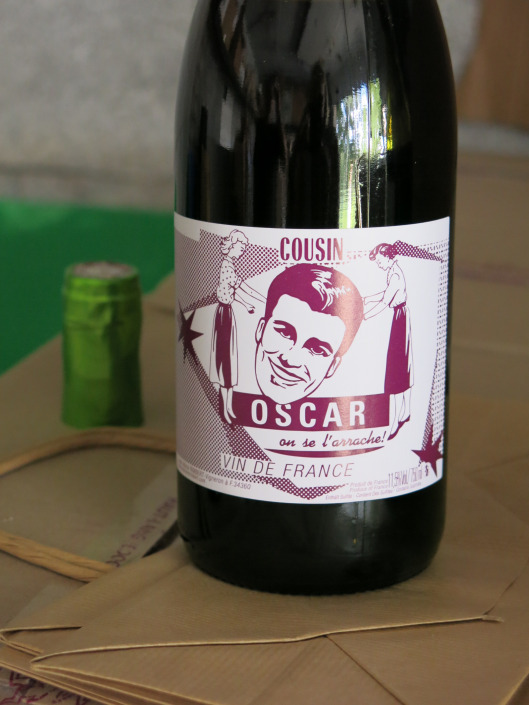 Jean-Marie makes a 100% Cinsault wine called 'Cousin Oscar' that is perfect with a slight chill to emphasize the mélange of fruit flavors. It is a great summer red, but moving into cooler weather, it can certainly hold its own with Fall and Winter fare. 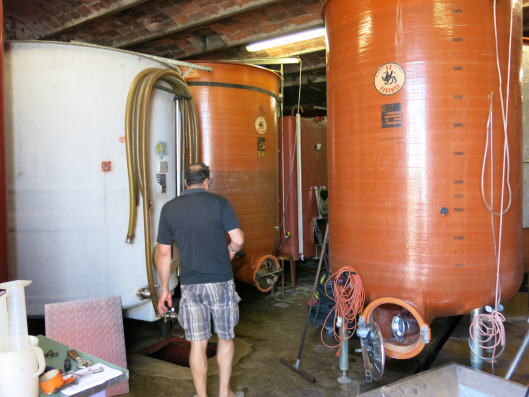 Jean-Marie named this red wine after a cousin of his that is said to be very irresistible. The name is fitting. Jean-Marie, a native of Provence, arrived in the Languedoc nearly twenty-five years ago and managed the vineyards at Château de Flaugergues for five years until he saved up enough money to purchase his first parcels of gnarled ancient vine Carignan that had been nurtured in schist-laden soils for the better part of the last century. Today, Jean-Marie has 20 hectares spread amongst 40 diverse parcels each with different soil compositions and expositions. He is a practicing organic farmer here in Berlou. Berlou has the highest elevation in all of the St. Chinian AOC and is the only place in the region that possesses schist rich soils. From the beginning, his objective was to cultivate vineyards with the utmost respect for the environment and his wines reflect all of the natural beauty, depth and flavor originating from those vines. The wines Jean-Marie crafts are a passionate testament to this region’s multi-dimensionality and ever-expanding potential. This wine over delivers for the money and we hope you grab a bottle (or twelve) this holiday season to get you through to the new year. On the label Jean-Marie has inscribed "On se l'arrache" which essentially translates into the fact that you'll be fighting over this wine with whomever is present. We agree.